The Wort Report: Feast Your Eyes on...A New Simpsons Trailer! James here. 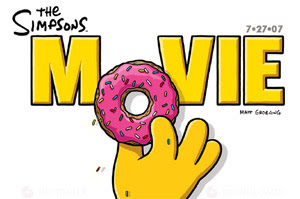 The Simpsons Movie is due next month, so expect its advertising to ramp up for the next few weeks leading up to its July 27th release. To tide us all over (because honestly, who doesn't like The Simpsons? ), Fox has released yet another trailer to ensure that we'll fork over our $10 to watch something that we've enjoyed for free for two decades. I kid. The animation for the flick looks superb (it looks like they mixed a lot of 3D in there, and the coloring is phenomenal). Plot? Looks to be firmly anti-conservative, especially with the whole President Schwarzenegger thing and the seemingly environmental slant (Schwarzenegger? Hasn't he been parodied on the show for years as Rainier Wolfcastle?). Oh and Homer gets a pig. Shenanigans ensue.